Business Secretary John Hutton has ordered British Sky Broadcasting to reduce its stake in ITV from its current standing of 17.9 per cent to less than 7.5 per cent after accepting the findings of a Competition Commission ruling in December that BSkyB's stake in ITV was not in the public interest. 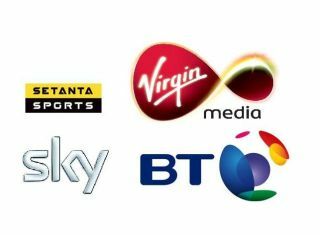 No timeframe or deadline has been announced, but at current market valuations Sky stands to lose approximately £250 million from selling its shares. Sky purchased its 17.9 per cent stake in November 2006 for a total price of £940 million. The move was seen by some as an attempt to block its rival NTL, which also had eyes for ITV. However, since 2006 ITV's share price has almost halved, tumbling from 135 pence to just 73 pence. The Competition Commission ruling in December raised concerns that Sky might use its stake to influence board decisions. And as part of its ruling it also called for Sky not to seek or accept any representation on the ITV board before or after the sell-off of its stake. How does this affect the average telly watcher? The Competition Commission believed that, with Sky's hand on ITV's shoulder, the two companies would not compete as fiercely, thereby lessening innovation and ultimately affecting the consumer. That, we suggest, depends on whether you find ITV's output 'innovative' in the first place. While ITV has welcomed the news, Sky has called it "unprecedented". Sky now has one month in which to appeal. Should it choose to do so then it could also lodge an appeal for damages as a result of the forced sell-off.